The Lions are apparently spending their Tuesday taking a look at failed first-round picks. After working out former Jets draft pick Quinton Coples earlier today, Detroit auditioned ex-Colt/Jaguar Bjoern Werner, Field Yates of ESPN.com tweets. 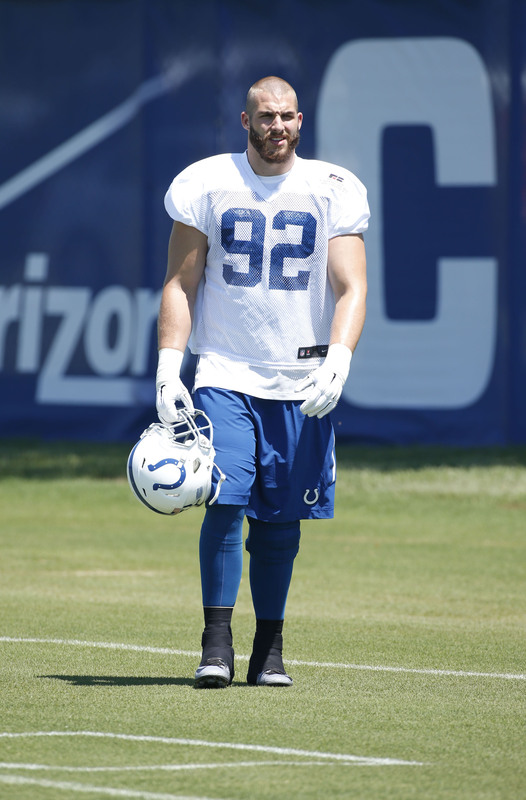 Werner, 26 appeared in 38 games over the last three years for the Colts, including 16 starts. In that time, the Florida State alum registered 77 tackles (61 solo), 6.5 sacks, five passes defensed, one forced fumble, and two fumble recoveries. However, the majority of Werner’s production came in his first two years in the league — in 2015, he appeared in 10 games and picked up just 11 total tackles and one fumble recovery. 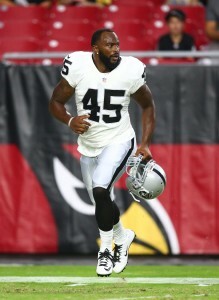 Following the 2015 campaign, he was waived by Indianapolis. Lions defensive end Ziggy Ansah is expected to be out for Sunday’s game — and perhaps longer — as he deals with a high ankle sprain. Detroit, then, is presumably searching for some low-cost depth options as they brace for Ansah’s loss. Werner and Coples weren’t the only players auditioning in Motown today, as the Lions also looked at free agent tight ends Justice Cunningham and Adrien Robinson, per Mike Florio of Pro Football Talk (Twitter link). 4:39pm: To open up a spot on the roster for Hocker, the Rams have cut tight end Justice Cunningham, tweets Aaron Wilson of the National Football Post. 1:08pm: With Greg Zuerlein questionable to play in Sunday’s game against the Bengals, the Rams are signing free agent kicker Zach Hocker as an insurance policy, reports Ian Rapoport of NFL.com (via Twitter). Zuerlein has been battling a groin injury, and his availability for Sunday remains unclear. Hocker, a seventh-round pick in the 2014 draft, earned his first starting job this year in New Orleans. However, the 24-year-old was a little shaky during his first six games as the team’s kicker, resulting in his release in October. Hocker missed four of his 13 field goal tries, including three from less than 50 yards, and failed to convert one of his extra-point attempts as well. After becoming a free agent, Hocker had workouts with the Jets, Jaguars, and Giants. As for Zuerlein, even when he’s been healthy, he’s been up and down this season. The fourth-year veteran has missed eight field goals and an extra point in 10 games, and is converting a career-low 65.2% of his field goal attempts. An injury is also forcing the Rams to make a change at a more important position, according to Adam Schefter of ESPN.com, who tweets that Nick Foles will return to the starting lineup with Case Keenum still recovering from a concussion. No roster move should be required at QB though, since Sean Mannion remains on the roster as a backup option. The Raiders have waived former Seahawks safety – and Kam Chancellor‘s brother – Keenan Lambert, the team announced today in a press release. Oakland, on its bye week, will have more than a week to make more roster moves to fill the two openings on the team’s roster. Using the roster spot they opened up when they placed offensive lineman Rodger Saffold on injured reserve earlier today, the Rams have promoted tight end Justice Cunningham from their practice squad to their active roster, according to Aaron Wilson of the Houston Chronicle (via Twitter). After moving fullback Derrick Coleman to the reserve/suspended list this afternoon, the Seahawks had an opening on their 53-man roster, and have re-signed wide receiver B.J. Daniels (Twitter link via John Boyle). Daniels was just cut by Seattle two days ago. Former Ravens cornerback Rashaan Melvin has been claimed off waivers by the Patriots, per Jeff Zrebiec of the Baltimore Sun (via Twitter). As Zrebiec points out, the Patriots’ offense went after Melvin frequently during last season’s playoff game, so the move is an interesting one. Thought to have the upper hand in the Rams’ center competition, Barrett Jones was one of St. Louis’ roster cuts as it trimmed to 53 players (according to Myles Simmons of the team’s website). Tim Barnes and Demetrius Rhaney ended up sticking on the roster due to having better positional versatility than Jones, an Alabama product who the Rams took in the fourth round in 2013, per ESPN.com’s Nick Waggoner. An undrafted free agent in 2011, Barnes is listed as the Rams’ starting snapper. The Rams also waived Austin Davis, who started eight games for the team last season in Sam Bradford‘s absence. Davis threw for over 2,000 yards and completed 63.4% of his passes in his first game sample. The Seahawks aren’t in the driver’s seat of the NFC West as they anticipated, but coach Pete Carroll says that their record doesn’t dictate their effort on the field. “We’d still be playing these games as championship games,” Carroll said, according to Matt Maiocco of CSNBayArea.com. “That’s the way we look at it. If we were here and our record is different than it is, we’d be playing every one of these games like it’s the last game we get to play all year. That’s how we do it. And it doesn’t matter.” More from the NFC West, where the Cardinals are on top..
Ahmad Brooks’ cap figure of $9.65MM for 2015 makes him a prime candidate for a trade, or a drastic pay cut if he wants to stay with the 49ers, former agent Joel Corry told Kevin Lynch of the San Francisco Chronicle. The Niners can save $4MM in 2015 by releasing Brooks. Corry went on to say that he doesn’t expect SF to sign both Mike Iupati or Alex Boone – it’s either-or. Another team was interested in signing tight end Justice Cunningham to its active roster, but the Rams liked him enough to beat them to the punch and promote him to the 53-man roster, according to Jim Thomas of the St. Louis Post Dispatch (via Twitter). Thomas (via Twitter) also notes that the Rams must create an additional roster spot later in the week when they activate defensive end Chris Long from the IR/DTR list.